Located in the centre of Porto da Cruz on Madeira Island, this modern hostel offers accommodations with free Wi-Fi, and panoramic views of the mountains and the Atlantic Ocean. The Park Inn Northampton is a modern hotel with a glass façade, situated in the city centre, 200 metres from the Market Square and the Local History Museum. The 145 guestrooms all feature modern decor and are equipped with high speed Internet connections, satellite television with pay movies and direct dial phones with voicemail. The Kingtown Hotel is situated on the outskirts of historical Hedon, just 10 minutes east of Hull. 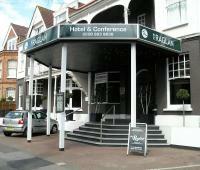 There is free parking, a traditional restaurant and a children's soft play area. Situated in Washington, Tyne and Wear, Campanile Washington Newcastle upon Tyne is 14 kilometres outside Gateshead and 15 kilometres from central Newcastle upon Tyne. Newcastle upon Tyne Airport (NCL) is 29 kilometres from the hotel. Hotel Features. Complimentary parking is available on site. There are facilities for tennis and horse riding within three kilometres of the hotel, and a golf course 16 kilometres away. Guestrooms. With free Wi-Fi access, Raglan Hotel is a boutique hotel offering luxury accommodation, stylish rooms and contemporary design, less than a mile from Alexandra Palace. It also has a Japanese landscaped garden. The Hyde Hotel London Paddington is located 200 metres from Paddington Station in London, England. This property stands one kilometre from Hyde Park and within two kilometres of Oxford Street's designer shops and Portobello Road's antiques market. Hotel Features. The contemporary Eclipse Restaurant prepares modern European dishes from the morning into the evening hours. Business amenities include fax and photocopy services. Just a 5-minute walk from the historic Royal Mile, and within half a mile of Princes Street, this lively budget hotel is in Edinburgh's Old Town. It is home to The Three Sisters, a well-known pub that hosts frequent entertainment and events. The modern, high rise Hilton London Park Lane hotel is opposite Hyde Park in central London, England. Bond Street's designer shopping, Buckingham Palace and the Royal Academy of Arts are 600 metres from the hotel, and Harrods department store is 800 metres away. The National Gallery and the shops of Oxford Street are within half a mile. Hyde Park Corner Underground station is 200 metres away. Hotel Features. 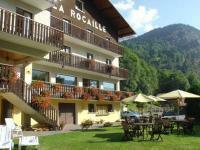 La Rocaille is a family run, traditional-style chalet hotel in a picturesque setting in the Abondance valley of Haute Savoie in France. Savoyard village in the Portes Du Soleil region of the French Alps is an area of outstanding natural beauty and features stunning scenery and is perfect for skiing, snowboarding and cross country skiing holidays as well as walking and mountain biking. The Aberdeen Marriott is a modern hotel situated just two miles from the airport and six miles from the city centre. This two floor hotel features 155 contemporary guestrooms decorated in hues of cream, black and red with stylish black furnishings, bedding with bold floral prints, scatter cushions, red fabrics and beige print carpets.